As a lifetime resident of Vermont, I was raised in Middlebury, graduated from Castleton State College, and then began my early career in Burlington. Along the way, I married my husband Rick who is a Rutland native. Since then, we have raised a family in Rutland City, where we still currently reside. Since 1987, my husband and I have owned and operated Rutland Autoworks, a successful auto repair business, also located right here in the city. 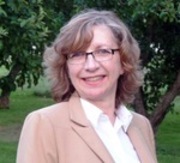 My professional background includes working in various sales capacities, as well as business. More recently, I have been a college financial aid counselor at the College of St. Joseph. As a Rutland resident, parent and business owner, I have a familiarity with people and places in my community, something I felt would go hand-in-hand with my passion for real estate. Now that my three children are grown, I decided it was time to pursue this passion, servicing the Rutland county community that I love. Rutland and the surrounding area is one of the most beautiful places! The people, the natural beauty, our historic downtown, and countless recreational opportunities all help to make the area a very desirable place to live. The Rutland area is just minutes from skiing, hiking, swimming, arts and entertainment. 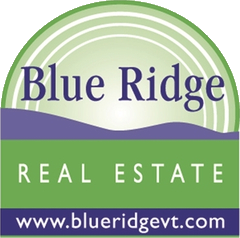 I am proud to be a part of the Rutland community as well as a member of the Blue Ridge Real Estate team, and look forward to assisting you. I can’t wait to show you all that Rutland has to offer! Nicole K. This website is asking that I "quickly tell about my experience" working with Deb. Sorry, not going to happen! Only because there is no way I can quickly sum up how awesome she is. I moved across the country and she made everything as stress-free as possible and very straightforward. I was prepared for a much more complicated and arduous process! What I liked best about working with her is that she totally understood what I was looking for and didn't try to push me into something that wasn't right. She sold me a home, not a house. I also need to mention something else that makes her fantastic with a capital F. The first weekend that I met her looking at listings, she gave me a whole list of things to check out to get a feel for the town (farmer's market, a local theater, an adorable breakfast spot, etc.) I thought that was super thoughtful and I really appreciate touches like that. Two thumbs up (and two paws up from my dog) for Deb! Rob L. Even though I was selling my VT house from out of state, Deb's exceptional customer service, communication skills, and attention to detail instilled the highest level of confidence in me. She helped me to feel like we were a team with a common purpose. Deb provided excellent guidance and advice all the way through closing. She is extremely knowledgeable, communicative, personable, and caring. If you are buying or selling a home in the greater Rutland area, then you have just found your agent! Charles B. My wife and I sold a house and purchased another last year with Deb. Her persistence and attention helped to seal the deal on both transactions from start to finish. On the purchase, Deb took the time to understand what we were looking for and kept working until she found the property that was right for us. I would highly recommend her if you are in the market of buying or selling properties! David T. Working with Deb has been an outstanding experience from start to finish. My wife and I kicked around the idea of relocating to New England from Missouri for some time. We met Deb last October and she showed us multiple properties. We had to do everything long distance. Deb made the entire home-buying process painless by going above and beyond our expectations in helping us make our dream of living in New England a reality.